The Labour Party leader Jeremy Corbyn says he will work to return the Parthenon sculptures to Greece if elected as British prime minster. Corbyn says the antiquities were “made in and belong to Greece” and that, on entering Downing Street, he would begin “constructive talks” with the Greek government to secure their repatriation. His comments, first made to the Greek newspaper Ta Nea, come days after Unesco called for talks between the two nations. Twelve countries, including for the first time France, backed Unesco's stance. The United Nations agency said both sides need “to find a mutually acceptable solution to this long-term issue”. The fifth century BC statues have been housed in the British Museum since 1816 after they were removed from the Parthenon temple on the Acropolis in Athens by the Scottish nobleman Lord Elgin, the then Ottoman ambassador. The removal of the sculptures and subsequent debates about their return has long divided opinion. According to the British Museum’s website, Lord Elgin applied to the Ottoman government for a licence to remove the sculptures, which was granted in 1801. A second licence was issued in 1810, which allowed Elgin to ship the remainder of his collection to England. In 1816, the UK government found that the collection had been legitimately acquired. However, calls for their return have been amplified in recent months, with some calling for the issue to be part of Brexit negotiations. 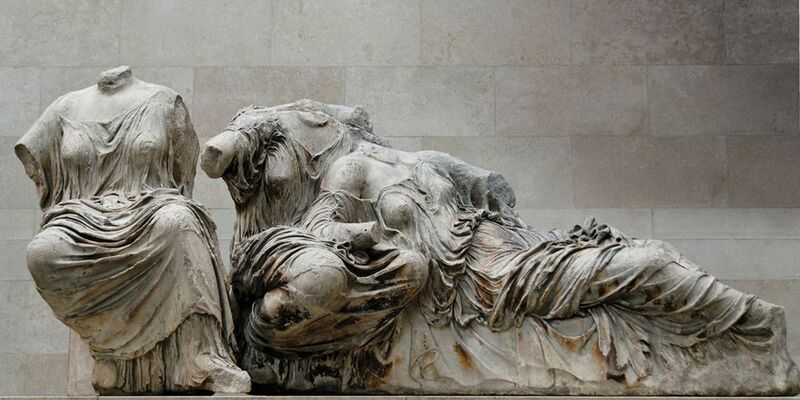 “The Parthenon Marbles are considered as the greatest symbol of European culture. Therefore, reuniting the marbles would be both a sign of respect and civilised relationship between Great Britain and the EU, and much more [than] a legal necessity,” the European Parliament member Stelios Kouloglou told the British press in August. Vocal opponents to the repatriation of the antiquities include the foreign secretary Boris Johnson, who previously said they “belong and shall remain in London”. Describing the Parthenon sculptures as an “emotive issue”, a Labour Party spokesman says “it is in the interests of both Britain and Greece to have a constructive dialogue about them”.